More and more of our customers are selecting wall speakers home theater speaker options, rather than traditional bookshelf or floorstanding speakers. What's available and how do they look? 1. 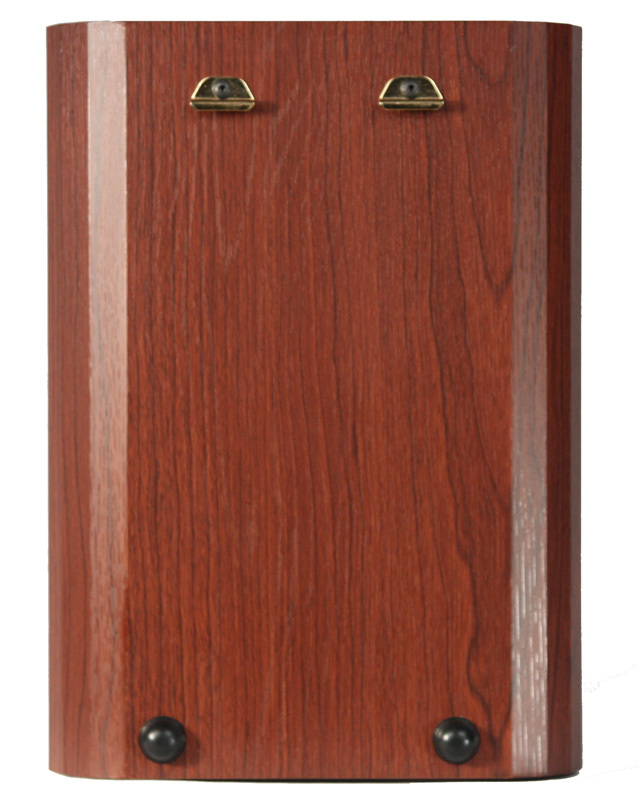 In-Wall / On-Wall Speakers: These are the original Axiom hybrid model. The back sits recessed into your wall, creating a very solid connection that pets and children can't move off no matter how hard they try! They take advantage of our innovative bracket to lock the speaker into place. The recessed bucket uses the wall's natural properties to reinforce bass output, giving you deeper bass than a traditional on-wall design. The front part of the hybrid speaker sits out about the same depth as a plasma or LCD television, giving your wall speakers home theater a very synchronized look. 2. On-Wall Speakers: Like their predecessors, the in-wall/on-wall model, these speakers also sit out slightly from the wall, complementing your video display. These, however, use a different connector, allowing you to put these on the wall without cutting any holes in the wall at all! You can run flat speaker wire along the wall and paint or paper over it so you don't see it. Voila! Perfect for apartments or cement-brick construction. 3. In-Wall Speakers: This is a great wall speaker home theater option for places where visible sound just won't do. Our in-wall speakers have paintable faces and paintable grilles, so you can blend them in with whatever color your home is . . . and you can change them too! The front baffle protrudes very slightly to ensure perfect sound without any unwanted sound effects coming from the wall's boundary. There you have it! Wall speakers home theater options to suit whatever your room calls for!